In few professions do you get start over every year, every semester, or quarter. It’s a wonderful thing, and one of the best parts about teaching. As we begin anew, it gives us an opportunity to try new techniques, materials, employ those innovative strategies on a fresh group of learners. It was a few years back that I decided to try something new—blended learning. Extending my students’ learning experiences has not only proved valuable to their learning, but has allowed me to become the kind of classroom teaching I have always wanted to be. 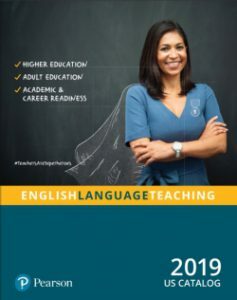 Some of you may have been following my articles on blended learning and flipping your ESL classroom, some of you may have been decided to make that leap. For those still on the fence, or wanting to know more, I thought I would review some of the finer points I covered in the last few newsletters. What really is blended learning? I like to think of it as brick and click. The brick is the traditional classroom setting. This setting promotes a social and cooperative learning environment. It motivates learners through peer interactions and immediate teacher feedback. It allows both teachers and students to address questions and confusions – as they arise. The click is the autonomous learning environment available through a powerful digital tool or learning management system. Web-based tools allow learners to practice and acquire new language skills without classroom distractions, as well as self-direct their learning. Merging these two worlds together creates an environment that meets a variety of learning styles, and a variety of both student and teacher needs. This merge is blended learning. Blended learning blends the social nature of the classroom with the self-paced environment available in a web-based setting (Clark 2001). Blended learning does not mean a reduction of face-to-face class time. Conversely, it requires greater participation of learners, greater interaction with content, and an overall greater level of engagement. These four pillars are the foundation of an effective flipped classroom, as well as successfully employing blended instruction in your class. Let’s briefly explore each pillar. Flexible Environments: As ESL educators, we know all too well the need to be flexible. We understand that our plans must leave room for “on the spot” instruction, as well as the ‘outside forces’ that may require us to be flexible with assignments. We know that some assignments are more successful in small groups, while others may fail in that setting. So, flexibility is not new to us. However, what may be new is how our lessons can be instructed both in and out of the classroom to enhance learning. Flexible Environments in a flipped model not only refers to the physical learning spaces, i.e. small groups, pair work, but also refers to the flexibility the instructor has with what content will be taught in the classroom and what content should be taught outside of the classroom. This is especially critical in an ESL classroom. Learning Culture: The learning culture represents the second pillar of the FLIPped model. The learning culture in a flipped model requires a shift, a teaching and learning paradigm shift. The focus moves away from the teacher “delivering” instruction, to the teacher truly facilitating instruction. While this may not sound new to many of us in ESL, there are some critical features of this pillar. First, teachers need to be aware of what they want to flip and how that content should be delivered so students can apply learning in the classroom environment. When choosing what to flip, we saw last month that we need to consider cognitive load. What are those concepts, skills that some students need more time to process? Once we have selected something to flip, we need to decide how we want to deliver it to our students. We want our students to be active learners. I have found the more I have my students “do”, they more active they are. Secondly, for students to take an active role in the learning process the task needs to be practical, yet measure the skill taught outside the classroom. Creating in-class activities that measured students understanding of the concept, but are also reasonable for the class time, and achievable based on the learning that takes place outside of the classroom is a critical component of the learning culture. Lastly, the content must be approachable and meaningful for the learners. Students need to see the instruction that is done outside of the classroom is meaningful for what will be expected of them to do in the classroom. So often I see teachers giving online tasks to students that have no connection to what happens in the classroom. Tasks, like all tasks in language instruction, need to have meaning for our students, and they need to be able to see the connections. Intentional Content—Intentional content is all about choosing the best content to be delivered in the classroom, and the best content to be delivered outside of the classroom. In a typical classroom today, we often teach new language structures or functions in the classroom and assign homework in which students have to apply, evaluate or create with the new language. However, flipping is all about taking the learning, the new content, outside of the classroom. 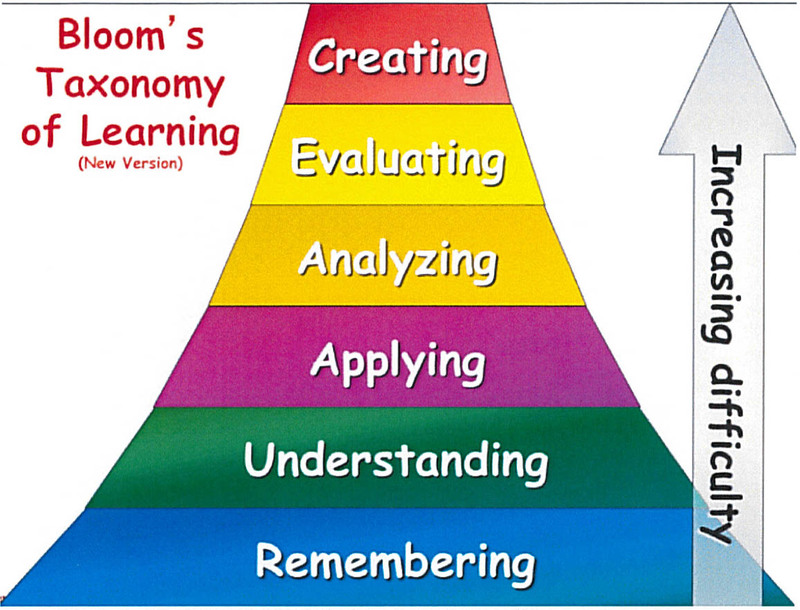 Consider Bloom’s Taxonomy for a minute. We often work on the lower levels of Bloom’s in class: Remembering and Understanding while we leave the Applying, Analyzing and Creating for outside of class. In a Flipped Classroom, Remembering and Understanding are moved outside of the classroom– leaving room for Creating, Analyzing and Applying in the classroom. You may be thinking, “Don’t students need instructors to explain new structures and concepts?” Absolutely. However, many digital tools allow us to do this quite easily. So, what content should be moved outside of the classroom? What content would benefit students greatly to hear again and again? In class, we often only have ‘time’ to explain things once or twice. However, if we moved this outside of the classroom, students could get the repetition so many of them need. Should all new content be moved outside of the classroom? Absolutely not! That again, is where the I comes in. It must be intentional. Start small. Use the wealth of resources that already exist… Khan Academy, YouTube, TeacherTube, TedEd, MyEnglishLab. Intentionally selecting the best content will not only free up your class time to really apply learning, but it will also greatly benefit your students. They will develop greater learner autonomy. Lastly, Professional Educators—YOU! You know your students best. You understand what they need, what is doable in class and what is doable outside of class. Considering these four pillars hopefully helps you to understand the pedagogy behind the blend and the FLIP. I have seen firsthand the difference it has made in my own students’ learning. As you gear up for the new school think, consider starting small. 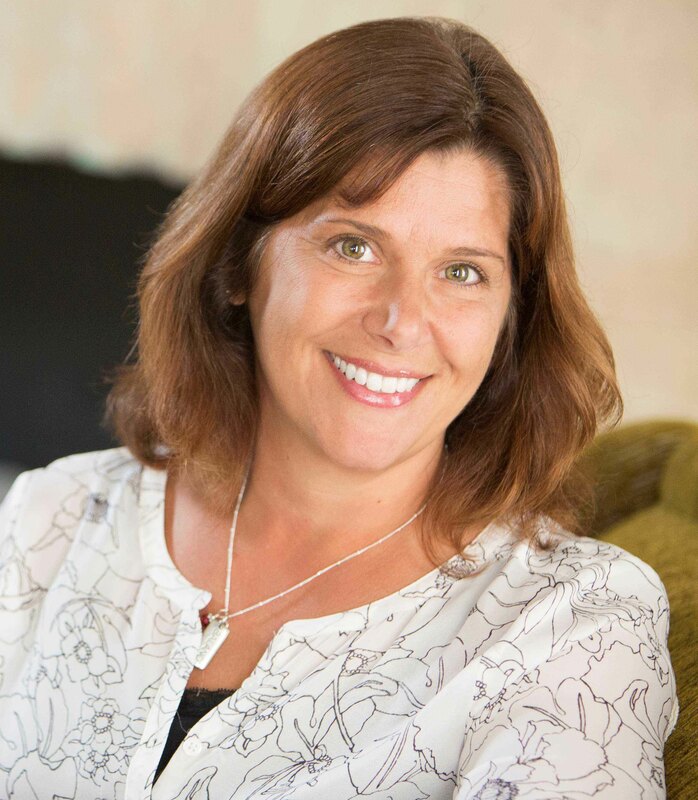 Next month I will show you how Next Generation Grammar and other MyEnglishLabs can help you do just that!